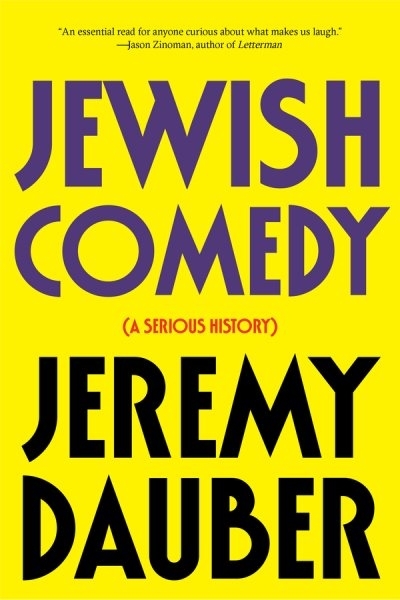 In a major work of scholarship that explores the funny side of some very serious business (and vice versa), Jeremy Dauber examines the origins of Jewish comedy and its development from biblical times to the age of Twitter. Organizing Jewish comedy into “seven strands”—including the satirical, the witty, and the vulgar—he traces the ways Jewish comedy has mirrored, and sometimes even shaped, the course of Jewish history. 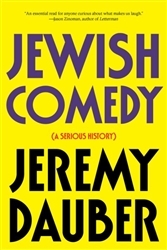 Dauber also explores the classic works of such masters of Jewish comedy as Sholem Aleichem, Isaac Babel, Franz Kafka, the Marx Brothers, Woody Allen, Joan Rivers, Philip Roth, Mel Brooks, Sarah Silverman, Jon Stewart, and Larry David, among many others.